Fort Fisher, NC - Sea Glass Beach Report? June 2011 - Poor: Don't bother. Since all the hurricanes, the whole beach has changed. Used to be able to find some glass and lots of ballast bricks, but no more. Fort Fisher is on Pleasure Island not far from Wilmington, North Carolina. It is just south of Kure Beach, really a great place to go in the summer. So even if you don't expect to find sea glass, there are a lot of things to do and see in this area. Lin and I spent some time there when we lived in North Carolina for 4 years and almost moved to Wilmington because of the nice beaches. 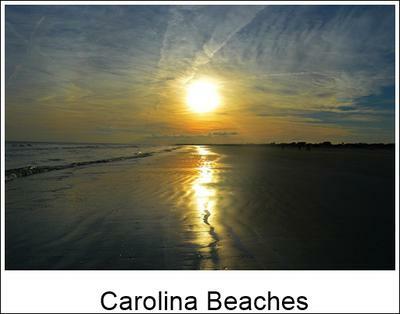 Of course summer is best but winter has its own beauty on the Carolina coast.